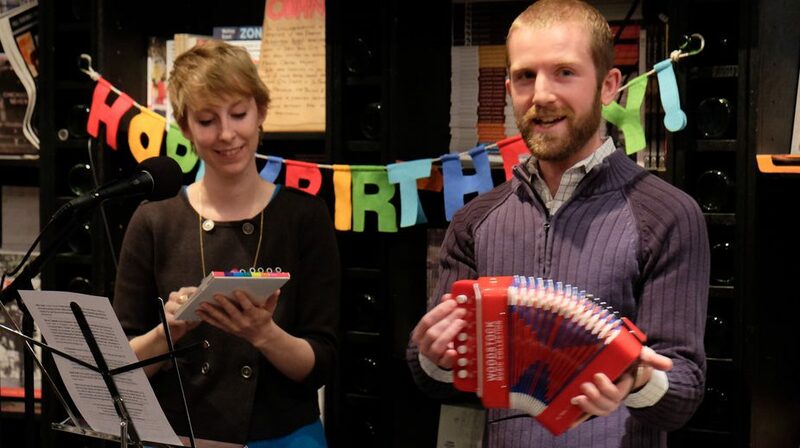 One year ago, Essay Fiesta was but a dream in the minds of Keith and Alyson. Then one day, over dinner, Keith and Alyson decided to make this dream a reality. And so, after a couple months of hard work and planning, Essay Fiesta was born. Come this November, we’ll be celebrating our one-year anniversary. Time has really flown by, and we’ve been so grateful to have had such talented guests and such a receptive audience. We can’t wait to see what next year has in store. And that’s where you come in. We’ve got a bevy of amazing talent that we’ve already hosted, but we hunger for more. Currently, Essay Fiesta is booked solid for September, October and November. We’ll be filling slots for the next season within the next couple months, so if you would like to be a reader, submit something. You’ve never been to an Essay Fiesta? Then check out our next show on Sept. 20. Can’t make it? Check out our YouTube videos. We prefer you submit two pieces so we can get a better idea of your style. These submissions should be first-person non-fiction. If put on the schedule, you don’t have to necessarily read either piece you submit. So what are you waiting for? Submit already!